My daytrip around Muscat and to Nakhal Fort and a nearby oasis about an hour out of Muscat was a great intro to the dry, mountainous sultanate. It is clean, safe, with modern buildings (there was nothing here 40 years ago) and friendly natives (ask first to take pictures; you'll get a nod). The Fort is beautifully restored and offers a tiny glimpse into the life in such a structure. the views from the ramparts are of other crumbling forts (there seems to be one on every hill), the craggy mountains reaching up to 10,000 feet and the lush date palm groves surrounding the fort. The nearby oasis has a hot spring which feeds a shallow creek. Dip your feet in the warm water and get a "fish pedicure." Tiny fish will nibble on your toes - it tickles. 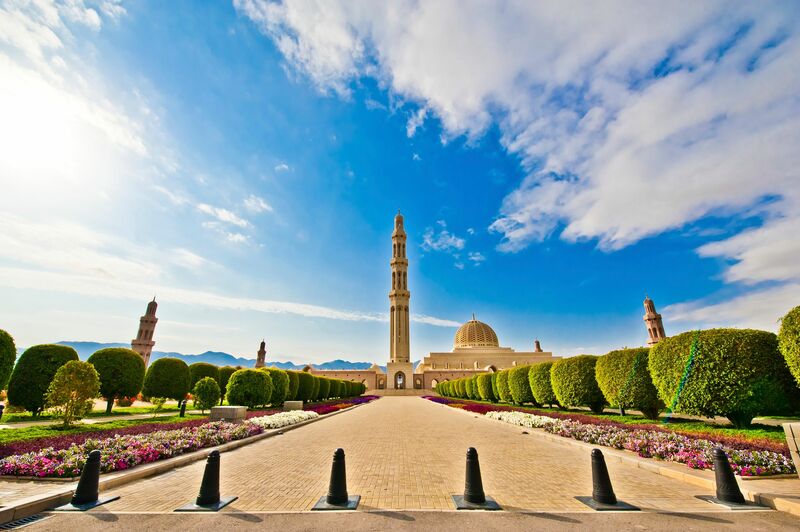 In Muscat, visit the Sultan's Palace grounds, the small,but informative Bait Al Zubair Museum and definitely the souq, where you should shop for frankincense. After all, Oman is where it came from. The pale yellow crystals (it is a tree resin) are the best, with nice, distinct fragrance. Myrrh is also available (not as fragrant) and agar wood (very fragrant). You burn allof these in incense burners, also available in the souq. There is a giant sculpture of the incense burner on a hill right over the harbor. Enjoy. I think Muscat is a beautiful city. The people are nice and friendly. Its a must visit. Only a 5 hr drive from Dubai but a world away in terms of ambience and experience. It is a city with all the modern amenities but with its heart in the Middle East. The ancient Arab culture mix very nicely with the modern in this (spotlessly clean!) town. I think a trip every 6 months for Dubai dwellers is critical to know that they are indeed living in the Middle East. Environs around the city offer incredible water activities, hiking, nature trek, historical locations and regional cuisine options. A Calm and Friendly seaport city. Explore the little alleyways between the white buildings, and the covered Souk is worth it too. Lived in Thumrait for a year and a half and Muscat was really a treat to go to. The humidity was bad at times, but overall Oman was a nice place to be at.